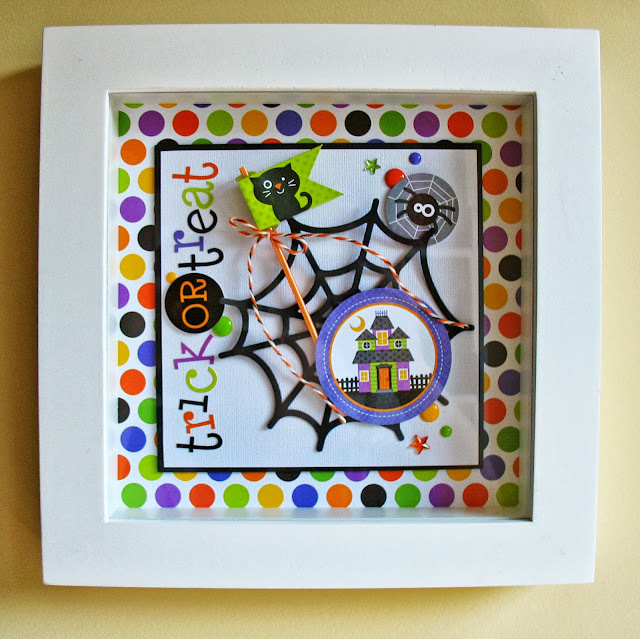 We had such a hard time picking which Shadow Box projects to feature today...they are all so adorable and you will LOVE this week. 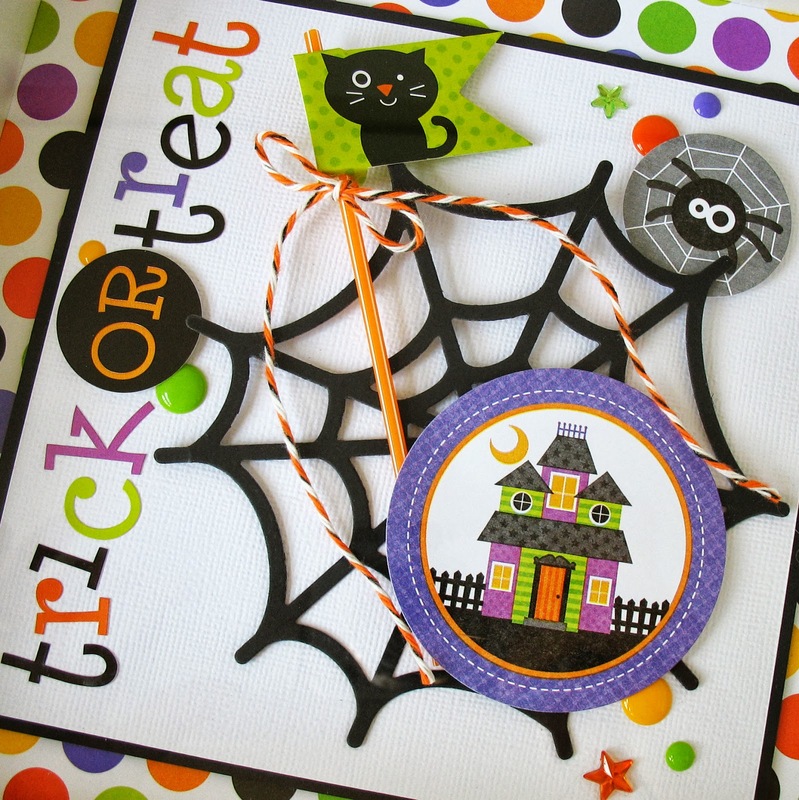 But today we're going to pull out the Halloween Parade Collection projects and share them with you! I never created a real shadow box before, not because I didn’t want to, but because I thought I couldn’t do it. I didn’t want to “ruin” the shadow box and so I never tried. But now I’m hooked! 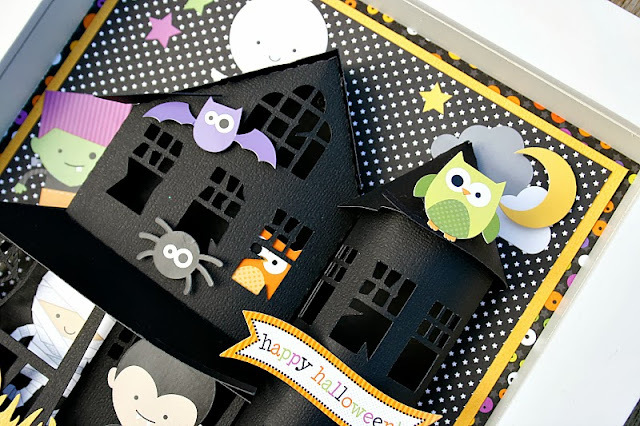 I just love how this 3D Haunted House turned out! 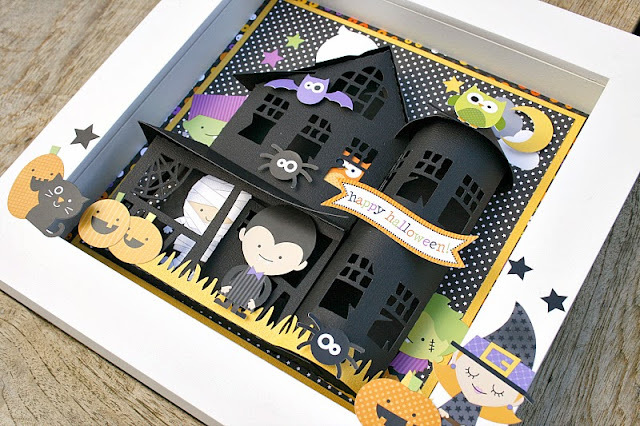 To create this I used a Silhouette cut file (by Marji Roy) and the Doodlebug Halloween collection “Halloween Parade”. Although we don’t celebrate Halloween here in The Netherlands I love to decorate our house just a little bit and this shadow box is just what it needed! Fab, fab, fabulous! 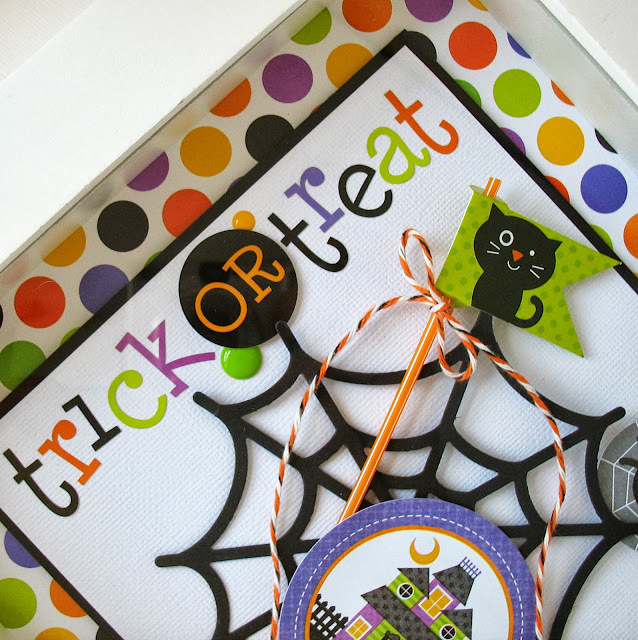 Both shadow boxes are to die for! 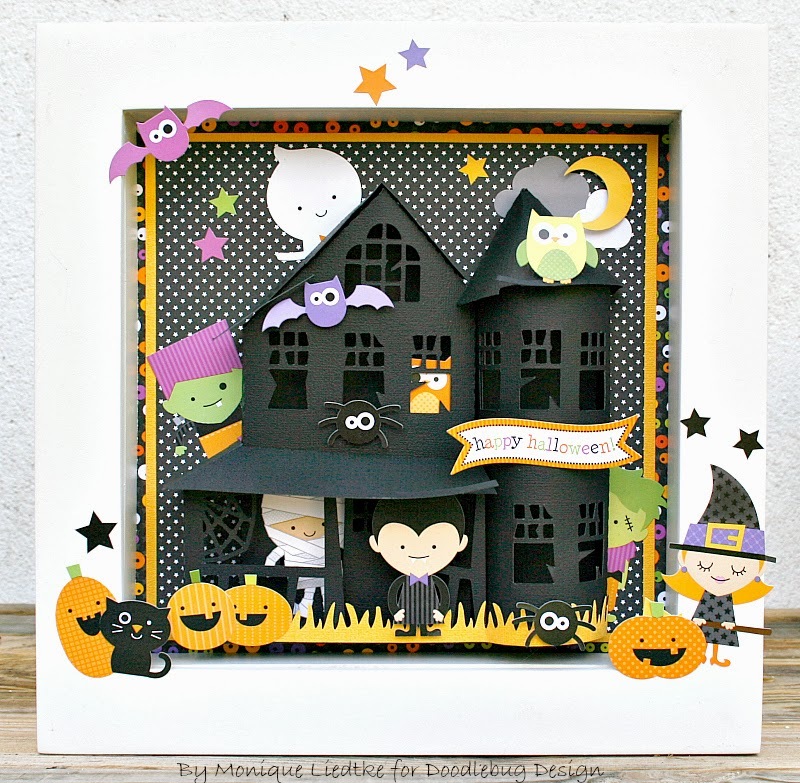 Each of these Halloween Shadow boxes are absolutely to die for!!!! Love them each for the creativity put into them!! Monique this is absolutely stunning!! !